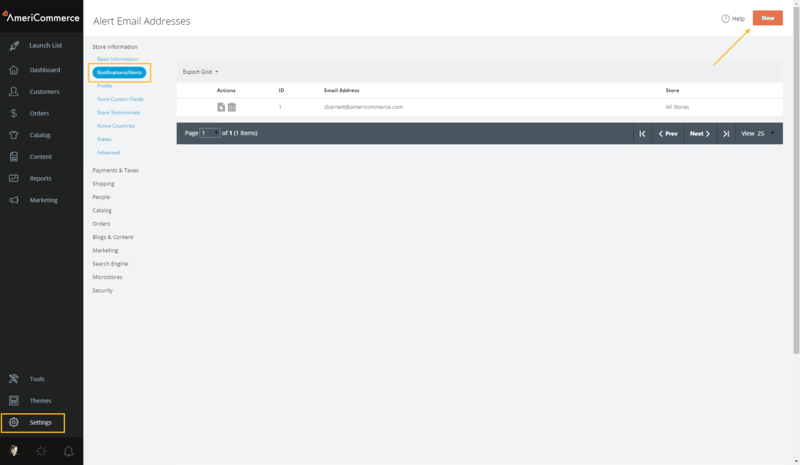 Browse to Marketing > Email Templates and select the email template you want to receive alerts for. 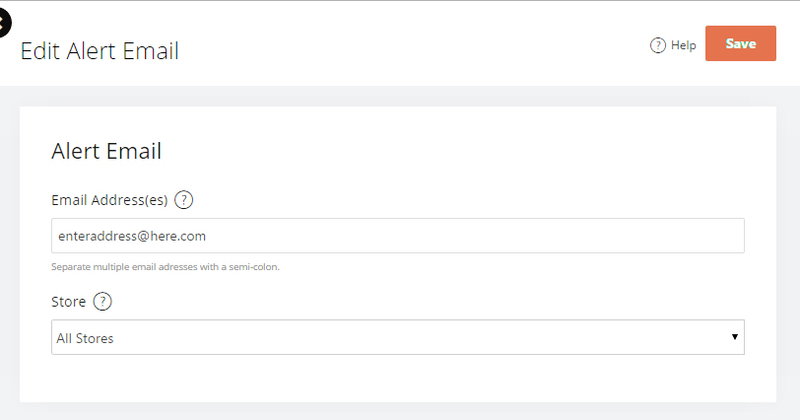 In this example, we've selected the Order Confirmation email template to receive notifications for. In the Admin Alert Settings area enable 'Send' by clicking the check box and saving. 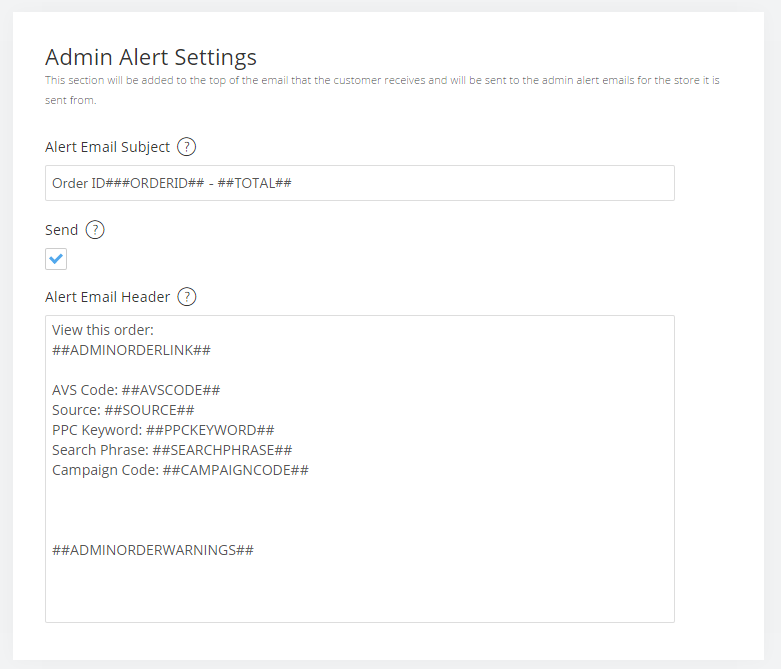 This will now send email alerts to the email alert addresses (setup in step 1) when a new order is received. So all addresses loaded in Notification/Alerts get all emails set up for alerts? Is there a way to send specific alerts to a specific address? For example, all new order alerts go to a specific address and all informational type requests go to another address. That is correct -- any address in Notifications/Alerts gets all alert emails. One option to send someone only specific emails would be to set up a filter/rule in your email settings to forward emails with certain subjects to certain people. Another option would be to use our rule engine to trigger emails to certain addresses for particular events. You can read more about the rule engine here: https://support.sparkpay.com/hc/en-us/articles/201903920 -- It is a powerful feature and very configurable.